Sony has lowered full-year forecasts for its Pictures business after reporting a double-digit decline in revenue at the division, which includes the feature film, TV and channels operations. The Japanese company recorded a massive write down at its Pictures division earlier this year, but said yesterday the division can return to growth by producing premium content and creating and buying new IP. Sony blamed lower theatrical revenues for a 14% slump in annual divisional revenues of US$225.2 billion to US$1.9 billion. It did, however, note significantly higher programme sales and SVOD revenue. 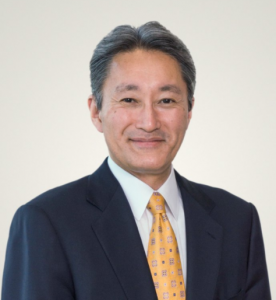 Aside from negative impact of the recent write down, Sony said that its forecast operating income for the whole division will be US$270 million, 30% lower than its previous forecast made last May. On the channels side, which is run by Andy Kaplan, Sony said M&A is part of the international growth plan, notably in India. The company has bought into several channels and streaming services in the past year including Hopster and two Viasat nets in CEE. Sony boss Kazuo Hirai will, the company said, be spending more time overseeing he entertainment business from his new second office in Culver City. One priority will be finding a new studio boss with Michael Lynton exiting later this year. Hirai spoke to senior Sony staffers yesterday, including TV bosses Zack Van Amburg, Jamie Erlich and Kaplan, and assured them the movie studio will not be offloaded, as had been rumoured.